From the author of The Dogfighter, hailed by Geoff Dyer as “the most exciting debut…by an American writer since Eugenides’s The Virgin Suicides,” comes Journeyman, a tightly wound novel about dwelling, building, belonging, love, and the value of a place to call home. Nolan Jackson is a journeyman carpenter by trade and a wanderer by nature. Set in 2007, while fellow Americans fight in the Iraq and Afghanistan wars, Nolan builds tract homes across California, travelling between jobs. Following a shocking workplace accident in his temporary home of Las Vegas, he uproots himself from the tentative relationships he has made and heads west towards the ocean. On his way he passes through his brother’s town where circumstances force him to stay put. Bereft of his trailer and his tools, Nolan turns to the task of building the foundations of a meaningful life. The specter of war and questions of the Western-film notions of masculinity are woven throughout the novel; from the damage to Nolan’s family by the Vietnam War in which his father fought, to the ubiquity and consequence of the wars in Iraq and Afghanistan, to slow unraveling of his brother’s marriage and mental state, to the mysterious series of arsons being set around their small town. Ultimately, Journeyman is an important, timely novel about men and brothers finding their way in the 21st century West. 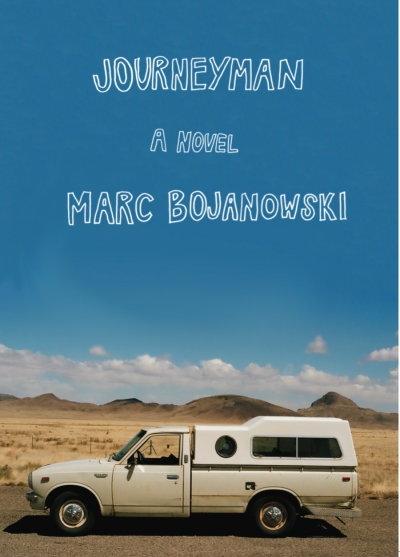 Journeyman is a textured, deceptively linear novel that throws some curves and carries a trace of Cormac McCarthy. Bojanowski’s novel is layered and thoughtful. Bojanowski’s writing shines in the vividness of his minor characters . . . The book abounds in sharp description—of landscape, the built environment, the play of light—from Nolan’s point of view, illuminating the sensitive soul under the Western hat. The distance between that soul, attuned to beauty and craftsmanship, and the shell Nolan has created for himself is deeply felt throughout. Watching him close the distance is the novel’s greatest pleasure. At one point, Nolan thinks: ’We maintain narratives, however false, to survive.’ Journeyman profoundly traces the cost of hanging on to those narratives long after they’ve ceased to be beneficial. This spare, mesmerizing novel is realist fiction at its best. Journeyman reminds me of Russell Banks or Richard Ford, but is distinctive and fresh in its own right. Marc Bojanowski delivers contemporary but somehow timeless storytelling that unfolds effortlessly and before you know it an afternoon and evening has passed, you’re near the novel’s end, and wish you weren’t. A carpenter. An arsonist. A tortured writer. In this beautifully wrought novel, Marc Bojanowski stages a showdown between warring New Western masculinities, using the ghost town of California’s tract architecture as backdrop. Angry, rootless, unquenchably romantic, haunted by wars fought and unfought, these lost men have come to tell us something urgent and true about a world they no longer understand. A rich but unrefined seam of allegorical meaningfulness [runs] through this pleasing tale. Bojanowski keeps it simple . . . his direct, unassuming style keeps the reader engaged in the ultimately optimistic story of Nolan’s attempt to overcome the contradictions in his life. 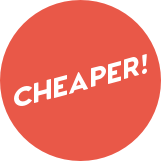 One of \xE2\x80\x9C31 Brilliant Books That you Really Must Read This Spring." 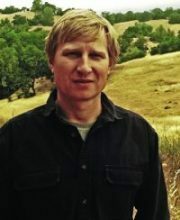 MARC BOJANOWSKI graduated from the University of California at Berkeley and received his MFA in creative writing from the New School. His writing has appeared in The Literary Review, McSweeney’s and Granta. His first novel, The Dog Fighter, was a Finalist for the New York Public Library Young Lions Award.